Ball-Pythons.net - A keeper shares photos of the bioactive enclosure that they are keeping their ball python in now that it has been set up for six months time. TortoiseForum.org - Check out these pictures and details about a great enclosure housing a young tortoise. Looks like paradise in the making! 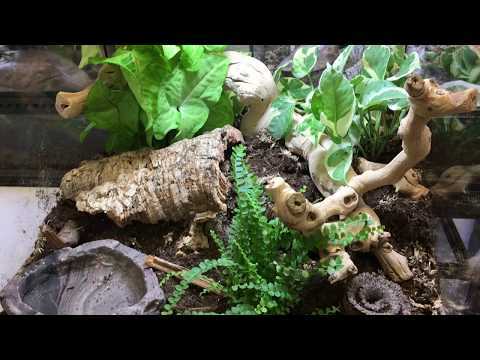 Ball-Pythons.net - Check out the nicely decorated enclosure that a keeper put together for their lucky ball python. Ball-Pythons.net - A nice series of pictures showing a lovely carpet python enclosure coming together.